Top Lucha star headed to WWE? 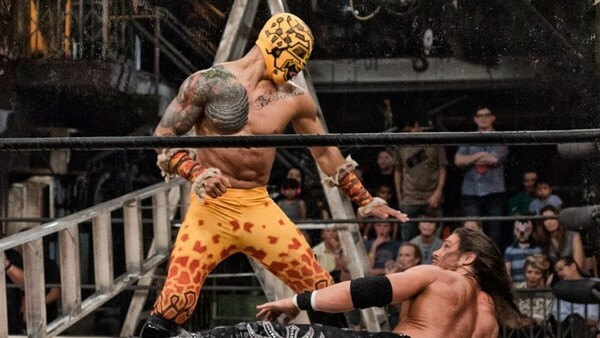 Prince Puma is reportedly done with Lucha Underground. The company just finished filming Season 3 of the show (Season 2 will be ending on TV in a few weeks), and he fulfilled the last dates he had to make under his current deal. Wrestling Observer Newsletter's Dave Meltzer noted that he doesn’t believe that Puma/Ricochet will be free to join WWE until 2017, due to an exclusivity agreement. He will be working in New Japan in the fall, though, as well as taking indy dates. This is a huge blow to Lucha Underground, as the company has pushed Puma as their top babyface so far. He was also their first World Champion, and held the belt for nearly the entire first season. With Rey Mysterio also possibly leaving the company, they may have to scramble to push someone else into the role. If Puma goes to WWE, it will be interesting to see what they do with him. Very few people in the entire business are as good as he is in the ring right now, but Vince’s history of pushing smaller wrestlers is still very spotty at best. Also, in 2014, Puma was looked over for a contract after he received a tryout with the company. Still, with the upcoming brand split, and NXT desperately needing to be refilled, it's highly likely they'll give him another look when he's free. Things can always change, and Puma could return to The Temple for Season 4, but due to his rise in popularity, he’s sure to be entertaining some big offers in the near future.